The Real Estate Institute of NZ, REINZ, released their NZ wide sold (residential selling prices that is) figures a few days ago. The national median house price is up 4.2% compared to January 2012, while the Auckland median price is up 8.1% compared to January 2012. The Canterbury/ Westland median rose 5.8% and Nelson/Marlborough 4.6%. For the month of January, Canterbury/Westland recorded the shortest days to sell at 31 days, followed by Auckland with 33 days and Nelson/Marlborough with 40 days. 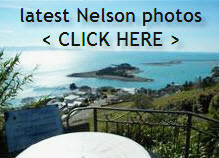 So is it time to arrive in Nelson and get that property at a 5 – 10 % discount to market? Factor this one from REINZ in first …. Over the past 10 years the median days to sell for the month of January has averaged 44 days across New Zealand. Anecdotal wise…..well if last night was any pointer…..hmmm…..
With a team of over 30 hungry agents just in Nelson – Stoke – Richmond …. you tell me that wasn’t the right decision for the individual property owners interests? Hmmm… seems I’m not the only one? Quotable Value (“QVNZ”) shows the Nelson real estate market’s SOLD properties on just a gentle “uphill tick” ….. with the passing lane being occupied by the fast ones from Auckland and Christchurch …. actually – just exactly how we like it … nothing too radical there. With the increase in nationwide values no longer solely being driven by Auckland and Canterbury, the increase in values for most parts of the country signals an increase in confidence as well. …..won’t win any short term fans in the interest rate department. NZs largest auction site, Trademe, quips in around about here too…. …and shows a bit more nationwide info from their data partner – Quotable Value New Zealand. Keen property observers will notice the “Average Value” propositions for NZ and where Nelson sits in that matrix. Interesting stuff. If you want a hand to interpret it – hey – you know what to do – pick up the phone. Nelson is fortunate in that our sales figures aren’t really singled out in the overall picture side of things, but this month the following reference ….. The REINZ Housing Price Index eased 1.0% in January compared with December to sit at 3,488.1. Wellington rose 1.1% in January, while Auckland fell 2.1% and Christchurch 4.4%. For the 12 months to January, the Auckland Index rose 11.8% and the Christchurch Index rose 9.9% compared to the National Index increase of 7.2%. Outside of the main centres, the Other South Island Index was the next strongest with an increase of 3.9% for the 12 months to January 2013. ….does sure hint that even in the Mainland….that last sentence above…..hints that a change could be in the air. This entry was posted in Buyers, General, Nelson, New Zealand, Sellers, Stats / Sales Data, The Market and tagged Buyers, buying, market, Nelson, NZ, Sellers, selling, stats, Stoke on February 14, 2013 by David Leggott.